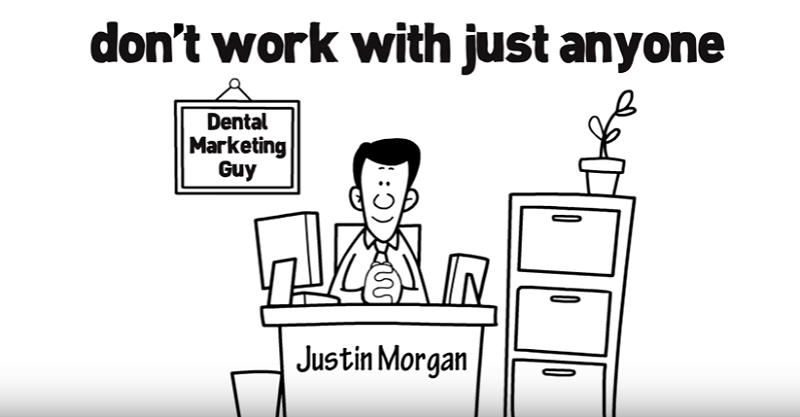 Today, I have the pleasure to interview the SEO expert Justing Morgan, who answers some important questions about search engine optimization and his new Invisalinks Method SEO Course, the first and only SEO course for dental professionals. Don’t miss to read it until the end, as you may learn something new to help improve your website, blog or online business. 1. What Are The Steps You Take To Optimize A Website? Some of the more stable tactics in SEO for dentists involve on-page SEO. You can all the “buzz” in the world surrounding your brand, but your website can be horrible from a usability standpoint. One such example is Dr. Arun Garg in Miami, FL. 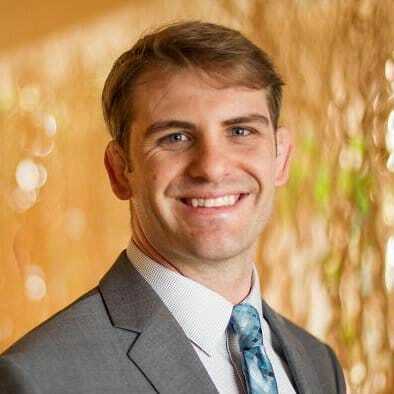 He is a bonafide thought leader in the dental implant niche, actually teaching hundreds of dentists how to perform dental implant procedures at an optimal level. While Dr. Garg has been featured in countless local and national media outlets for his clinical acumen, Google was confused as to whether his website should rank highly for keywords such as “dental implants Miami.” I was able to identify that while Dr. Garg has an amazing online presence, his website isn’t displaying him as the true expert he is. We’re currently redesigning his website to display who he is, who his staff is, and follow the on-page SEO factors that Google recommends. Basically, if you have an underperforming website, but you have plenty of powerful backlinks, it’s like putting rocket fuel in a beat up old car. Your website and on-page SEO is your car. You want that thing to be a high performing Lamborghini. Only then will you get the full benefit of your off-page SEO, which is like the rocket fuel you put in that Lambo. Specifically, the content and coding on your website needs to be helpful for patients and search engines to read. 2. How Do You Describe Your Link Building Process? Link building is a bit of a misnomer. Link earning is the name of the game. First, we need to create content that supports what other bloggers, journalists, and editors of top level dental websites are trying to say. When you become cited by others in your geographic area and niche, Google has no choice to lift your rankings. I go into full detail the many different tactics we use to earn links, but it starts with knowing the right people and giving them supportive evidence to help them make a point. For instance, I might write an article for Dentistry Today about video marketing, and I might link to an example of a high quality video at Hansen Dentistry in order to help the reader more fully understand the point being made. This is beneficial to Dentistry Today because the readership has a richer media experience and walks away from the article with a clear interpretation of what I (or another writer) is teaching. So the key component of the Invisalink Method is to become a link-worthy asset. 3. What’s The Ideal Speed For A Site To Earn/Build Backlinks? There is no ideal speed, since it’s something that isn’t in our control. The more relevant, natural, authoritative backlinks, the better. But if the links aren’t occurring naturally, it’s dangerous. This goes back to point #2. The more link-worthy your content is, the more easily you’ll be able to earn backlinks. 4. How Do You Adapt To The Needs Of Different Clients? Every dental office is unique. We need to help them craft their uniqueness and display it in a way that is noteworthy. Being noteworthy is just another way of saying you’re worthy of being cited, or linked to. Creating a linkable asset isn’t easy in dentistry. But that’s the kind of legwork I’m known for. It takes a custom, consultative approach for each office. 5. What Kind Of Reports Do You Give To Your Clients? I report on rankings, search engine traffic, the work we actually did for the dentist’s website, and of course I report all the great links we’ve earned. Many times I’m in charge of crafting blog content, so I show them the content for them to approve before going live with it. This is the dentist’s name and brand. It’s critical that the message be unique and on point. 6. How Often Do You Communicate With Clients And/or Management Regarding Your Progress? Every client has different needs. I’m available almost every day via email or phone call, sometimes quick text message questions. I believe that setting expectations is everything in this game. Over the course of a year or two, we have to reset expectations. For instance, once a dentist in a small town is ranked #1 for everything, such as CK Farr Dentistry who is ranked #1 for “atascadero dentist,” we might look at downgrading the aggressiveness of our SEO. Or even eliminating it, checking back periodically to make sure no one is getting close at nabbing that top position. Competition can also increase, and we may need to ramp up our efforts to break ahead of the pack. It’s all about rolling with the punches. 7. What Are Your Thoughts On Accelerated Mobile Pages (AMP)? We’ll see what happens with this in upcoming years. Right now, it appears to be a nascent feature from a mobile speed perspective. In my Invisalinks Method SEO Course, we’re not focused on the shiny objects such as the most recent algorithm changes. We’re focused on delivering the best result possible, so that Google can rightfully rank us #1 for keywords like “dentist your city” and “dental SEO expert.” AMP could become part of that, but only time will tell. 8. What Is Your Process For Helping A Local Business Become More Visible In Search Results? We go over this in great detail, step by step in my Invisalink Method SEO Course. It boils down to three major factors: content, links, and user experience. We address all three of these major SEO factors in my Invisalinks Course. 9. What Has Been Your Experience Getting Content Featured In Answer Boxes? It appears that Google is focusing on the most authoritative sources, worldwide. So your typical dentist won’t get featured in the information box. Information boxes won’t show up for commercial searches such as “dentist near me,” so it’s not a big factor in my Invisalinks Course. 10. How Do You Define Success When It Comes To Seo? If you’re not getting new dental patients, or at least landing the big cases like dental implants or Invisalign, there is no point to performing SEO. 11. What Metrics Do You Use To Measure Seo Success? Rankings are a big factor in the interim, and of course having a great looking website that compels prospective patients to pick up the phone and call your office (over every other dentist in town). 12. 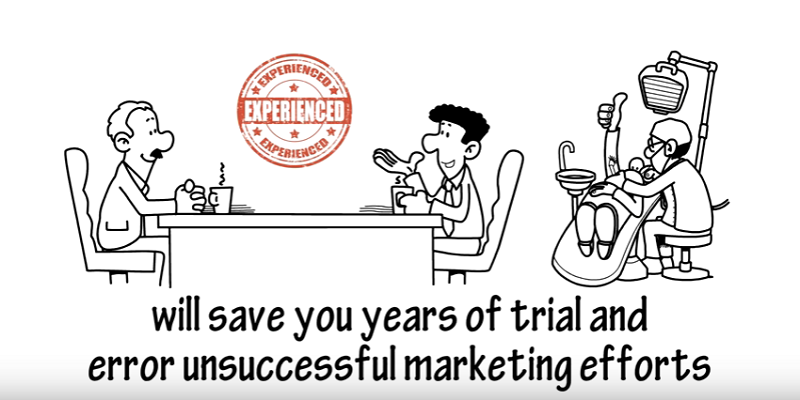 What’s Your Biggest Success Story Since When You Created The “Invisalinks Method Seo Course”? There are tons, I can’t even begin to narrow it down to one. But, there are a couple quirky examples. I actually helped Pearl Dentistry Reimagined lift their rankings from below page 10 to page 1 of Google within several weeks. Those results aren’t supposed to occur, but sometimes you get lucky. As times goes on, “charlotte dentist” and similar keywords are going to get tougher, but I’m up for the challenge! Probably the best display of dominance I have is with my own website. The competition for keywords such as “dental SEO expert” is so much higher than a dentist in a small town. I feel pretty secure with those rankings I’ve attained. But, there is always work to be done, and I have a ton of success stories that I use as teaching material for what actually works in my Invisalinks Method Course. Thank you, Justin Morgan, for being so kind to answer all my questions. I appreciate your time and I hope these insights are going to help NPI readers! It’s indeed a great privilege to read the interview you had with Justin. Though his specialisation is in a different stream, I am sure the tips he shared are equally beneficial to all who are involved in online businesses. Thanks Justin for your added post. I could really pick up some vital lessonson this subject. Thanks for your visit and comment, Phil. I hope you found some interesting insights from Justin here. Thanks for checking this out, Abhijeet. This presentation is quite informative about Justin Morgan. Really I love it. Thanks for the awesome feedback, Harshit. To be honest, I don’t believe in following SEO tips, strategies or tactics. They all fade out in a year or two. Because we all know SEO is changing every year because of Google animal updates. I still believe that backlinks are vital in SEO success. But I really get confused about whether I should focus on creating engaging content, building more links or doing proper keyword research. “I really get confused about whether I should focus on creating engaging content, building more links or doing proper keyword research”. Aren’t those parts of the same strategy? Great taking up some awesome points from Justin! His given example of the on-page SEO is absolutely right; we need a high performing Lamborghini. And the situation of Dr. Arun Garg’s website, it is quite needed to have a good website even though you’re famous. I see so many famous people but not having the proper websites so it is hard for everyone to come to note who’s that person. It is like not everyone knows about that person even his popularity touching the sky. It’s really great to know about Justin Morgan via this interview post ! I love the ways that Justin Morgan explain all about SEO & Link Building ! It is great interview article about Seo and link building. I like the ways that you explain all about Seo on page and off page activities. Thanks for the thumbs up, Lucky.